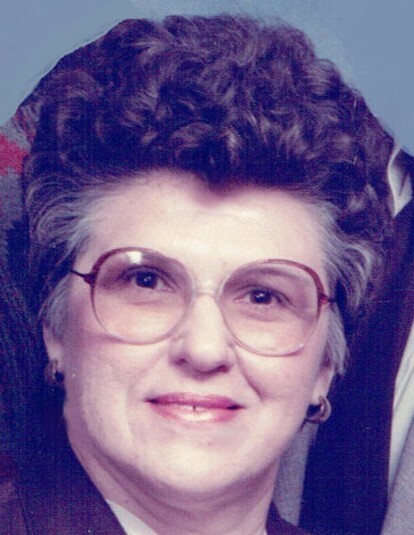 Obituary for Henrietta "Henny" Vaux | Heller-Hoenstine Funeral Home, Inc.
Henrietta “Henny” Vaux, 80, a resident of Ohesson Manor, is finally resting and at peace after passing away on Nov. 29, 2018. Henny’s devoted husband of 61 years, Donald, survives. She was preceded in death by: her parents, Harold and Caroline Bratton; and an infant son, Harold Douglas. A son, Mark, of Austin, Texas and his husband Nuncio survive. Henny was a dedicated wife, mother, daughter and friend to many. Born in Morrisdale, she married her first and only high school sweetheart, Don, on March 26, 1957. They eloped and were married at an EUB parsonage in Winchester, Va. (as the parson’s wife fried fish on a Lent Monday afternoon.) Henny would spend the first 18 months of marriage without Don as he served in the Air Force in Alaska. They later moved to Austin, Texas for 18 months to finish his tour with the Air Force. Upon discharge, Henny and Don moved to Lewistown to start their new life. She worked at the Arrow Shirt Factory, Goss Candy Factory and eventually as a cafeteria worker at the old and new Lewistown High Schools where she made many workers, students and faculty laugh until she suffered a debilitating stroke in June 1992. She enjoyed singing in the choir at Trinity United Methodist Church and volunteering in the nursery and Vacation Bible School. After becoming a member of Ellen Chapel Church, she enjoyed the many hymn sings she had with Pastor Mark Hill. She was an inspiration to many, was active in the Red Hat Society and participated in many resident activities, including shopping trips and meals around the area. The family would like to thank the many people of Ohesson who gave Henny such loving care during the 22 years she was there. They were family to us for many years and we appreciate all they did to make her stay as enjoyable as possible. We rejoice in her life and are of the faith that she is now free from her earthly constraints and singing and dancing in heaven. Private graveside service will be held at the convenience of the family. Arrangements are under the care of Heller-Hoenstine Funeral Homes, Woodlawn. Donations in Henny’s memory may be made to Ohesson Manor Residents Activities Fund, 276 Green Ave. Extended, Lewistown, PA 17044.